If imitation is the sincerest form of flattery, then Kirk Cousins has some big fans in Owatonna. Even if the Dead Arm Dance moves are pretty dorky. 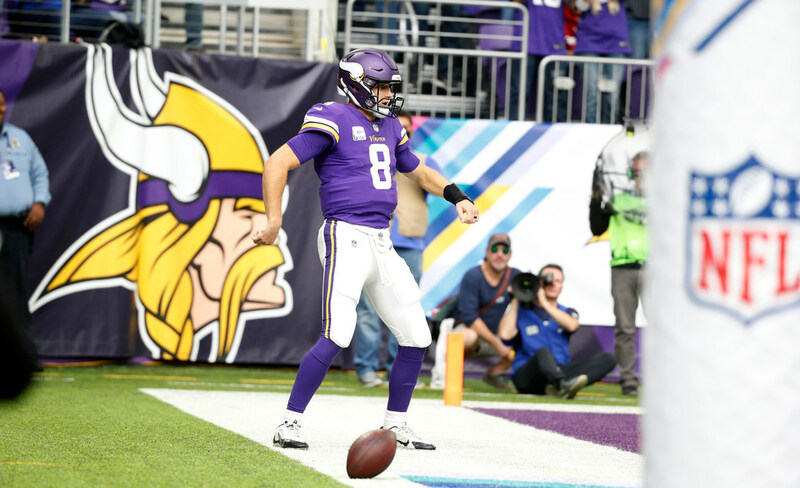 *The Vikings have made touchdown celebrations a thing, and quarterback Kirk Cousins … well, he displayed a very special brand of partying on Sunday after scoring in a 27-17 win over the Cardinals. You’ve surely seen by now what Cousins calls the Dead Arm Dance — borrowed from Adam Thielen, who brought it from his college days in Mankato, where local boys probably learned it from watching their fathers awkwardly try to dance at VFW wedding receptions through the years. Mock Cousins if you must, but know this: If imitation is the sincerest form of flattery, then he has some big fans in Owatonna. Josh Storm, the head boys’ hockey coach at Owatonna High and a physical education teacher at the middle school, posted a video Monday of some of his weight training class students doing the Cousins Dance in tribute. *Former Cowboys tight end Jason Witten has had a rough transition to the broadcast booth, and on Monday night he became a Twitter punchline when he declared that, in the midst of a comeback win over San Francisco, the Packers’ Aaron Rodgers pulled another rabbit out of his … head? I fully expect this to become a novelty T-shirt within 48 hours, but in the mean time give Witten credit for this: Shortly after the game ended, he went on Twitter and owned the amusing gaffe with a tweet of his own. *Sometimes things get lost in translation when athletes talk. But I still keep circling back to this quote from Wild wing Zach Parise after Monday’s 4-2 loss at Nashville. It sounds worse than it is, of course, with Parise trying to express that despite the loss the Wild can take some positives out of the way it played — particularly in comparison to the first four games of the season when Minnesota was badly outshot. But it still doesn’t sound good, particularly for a team in Game 5 of a pivotal season for the direction of the franchise. It’s a message of hanging on, not moving forward. *Nobody cares, and nobody asked, but you all will bear witness to my fantasy football relief nonetheless. In the midst of Jimmy Butler Drama this week, I neglected to set my fantasy football lineup before Thursday’s game in both my leagues. Sometimes that’s not a problem; this week it was less than ideal given that the Eagles played Thursday and injured running Jay Ajayi was in both of my starting lineups. But I am pleased to report: My stupidity didn’t cost me. I eked out a win in one league and lost in another where a replacement running back wouldn’t have helped change the outcome. I have learned zero lessons about actions and consequences, but I feel better. *This tweet from ESPN’s Darren Rovell about the vision of the late Paul Allen — Microsoft co-founder and owner of the NBA’s Blazers and NFL’s Seahawks — is worth examining.